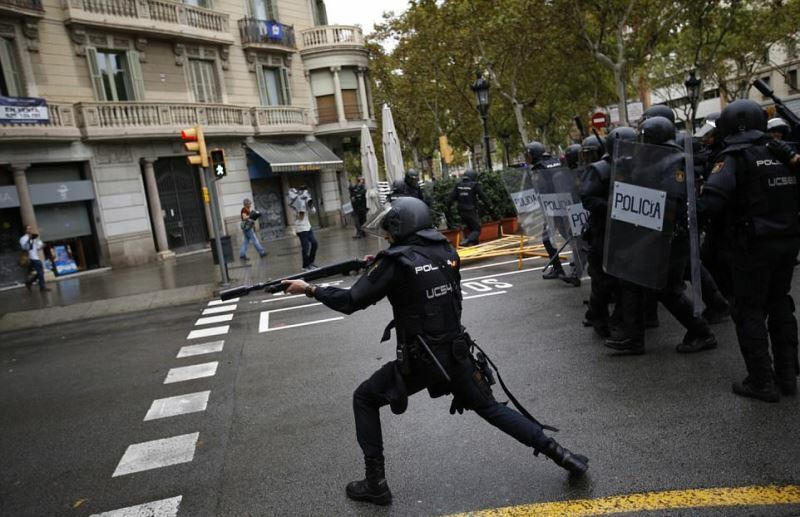 Over the past few weeks, Europe fixated on the developments in Catalonia is weary of setting a precedent that could encourage other separatists to follow suit. Independence movements nurtured on the frenzy of nationalism and identity politics are eagerly awaiting the outcome of the situation in Catalonia. The aggressive return of nationalism in Europe not only threatens the breakup of the European Union but also increasingly threatens the territorial integrity of several countries. First, there was Brexit followed by strong showing of ultra-right forces motivated hyper-nationalism in general elections across Europe. Alongside Britain, The Netherlands, France, and Germany recently these centrifugal forces have grown in intensity and have become an ominous hazard to Treaty of Rome. Even though for several years, first-order elections (empathy for the nation state identity) relegated second-order elections (affinity for European identity) few politicians foresaw the present course of events. The vast majority thought the threat was manageable. The Catalonia independence movement has become the vanguard for several European secessionist movements. The Basques, the Scots, the Irish, the Flemish are eagerly watching events in Spain unfold and are planning their own plans for statehood. The Balkanization of Europe is a real prospect and a death sentence to the Westphalian model of nationhood. In many ways, Europe’s fate is tied to the failure of Westphalian model of nationhood. This model of organizing relations between the state and subjects relies on nationalism as the binding force between citizens of different identities. However, the binding force all too often is based on the identity of the dominant nation or people in society. In the UK, the English – over and above the identity of – the Scots, the Irish and the Welsh dictate the dominant nationalistic force. In specific circumstances, the identity of the dominant nation is more than sufficient to hold the nation together and even provide fuel for hyper-nationalism that can cause severe friction externally between states, which results in total war – WW1 and WW2. During peacetimes or pro-longed periods of economic stagnation and decline, nationalism can often turn inwards and cause identity clashes with people from other regions within the state. Hence, the Spanish have long struggled with the Basque Country and Catalonia. The English have engaged in protracted skirmishes with the Irish and the Scots. And several European countries experience similar tensions. Besides the European continent, similar forces of regionalism can be found in America. The USA a harbinger of the Westphalian model has several secessionist movements—most notably in California. Elsewhere the nation-state model faces even graver crisis. Pan-Islam is undermining the artificially exported nation-state model in the Islamic world, and India—the world’s largest democracy—is constantly battling several independence movements to keep the idea of mother India alive. In sum, the days of the Westphalian model are numbered, and a new way of organizing relations between the people and the state is required. The EU, a clandestine form of empire disguised as a post-modern experiment is falling prey to the centrifugal forces of nationalism and regionalism. The pre-modern period—epoch of the empire—provided centuries of stability but gave way to the modern state founded on nationalism. Hence, the world needs alternatives to empire, nation-state and the EU, as a means to organise relations between the people and state, and permanently marginalize forces of nationalism and regionalism. In Islam, the Creator and not the dominant nation provides the necessary impetus to bind the citizens of the state. Islam for centuries naturally suppressed forces of nationalism and regionalism by granting citizens of the Khilafah state (Caliphate) holding different identities to equally enjoy rights—security of life, honour, protection of property and livelihood, ability to worship without persecution and so forth— deprived of marginalization and persecution. If the Khilafah state overstepped the limit, the citizens of the state corrected it. Today, the only panacea to the dangerous friction of identity politics that manifests as nationalism and regionalism around the world is Islam.